I am guessing you landed on this page because you have heard of Click 4 Surveys and are wondering “is Click 4 Surveys a scam, or can I actually make a good income on this site?”.This post will answer your questions so, in the end, you can make an informed decision if Click4 surveys is the right way to make some extra income online. Taking surveys is an old way to make some cash about which we have all heard at one point in time. It is one of the most common opportunities to earn money online. While these surveys are real, the process of making money through them is slow and tedious. It doesn’t help that nowadays many misleading services promise to make you good money but does the opposite. They either are after your money or after your information. One can detect a genuine survey from a misleading one from the way the service is sold to you and the promises that the service make. Many websites offer their members and visitors opportunities to participate in surveys to make money. Click 4 Surveys is one such website. This website, according to its claims, has some of the largest companies like Coca-Cola, Walmart, etc as its partners. These partners companies are said to offer paid online surveys opportunities to the members of the website. 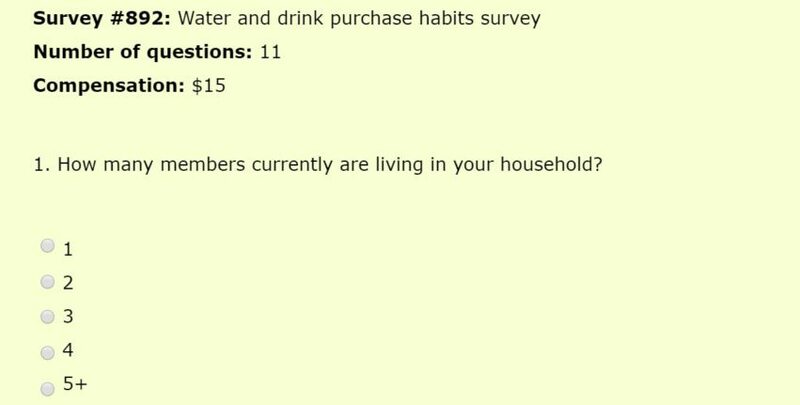 By its claim, these surveys can earn you somewhere between $5 and $75 for completing the surveys. This is a huge amount and seems too far-fetched. The Click 4 Surveys site requires you to sign up for each survey before you can even participate in any survey. There is a set fee that you need to pay for the sign-up to each survey. Check an earlier post here to understand how survey sites work. Like any survey sites out there, Click 4 surveys may have some positives so we`re going to check at the pros and cons of joining the program. There is only one way to make money on Click 4 Surveys website and that is by participating in the online surveys and completing these surveys successfully. The site claims to have partnered with many big companies which is a lie. The site claims that you can earn $500 to $3,500 per month. The information about the owner is not reliable. Misleading about the mode of payment is PayPal. The truth is it depends on the survey site you will sign up to decide the mode of payment. Not Click4Surveys. Registration fee to become a member of the site. Who Are Click 4 Surveys For? Anyone can join Click4Surveys website irrespective of their age, their country or their background. Joining Click for Surveys is straight forward and takes just minutes. The Click 4 Surveys website provides a sales video which when starts to play shows people appreciating the site. They can be seen as being grateful to have found this incredible money earning opportunity through surveys. DO note that there are no proofs shown about the actual earning. Not only that, the testimonials are fake like that of Banjoman giving fake testimonials. Now if you Check the Click 4 surveys reviews, you`ll see that George and Banjoman offering $5 gig at Fiverr are one and the same guy. Now if people were making money, they`d not need fake testimonials for you to join their program that will not help you make any money. Now it`s ok to give Testimonials in Fiverr, the guy is just trying to score a gig. Read more on Fiverr gigs here and how you too can make money on Fiverr. On the video, the owner, Daniel Cooper, also makes an appearance and proceeds to explain the process and how to use the website effectively and successfully to get you earning big bucks. Click 4 survey shows would be members how easy it is to make money taking surveys, anyone who`s taken surveys online or offline knows surveys require more and if such simple survey could earn you $15, everyone will be taking surveys for money. Support at Click 4 surveys is by email, you send an email stating your problem and wait for an answer. 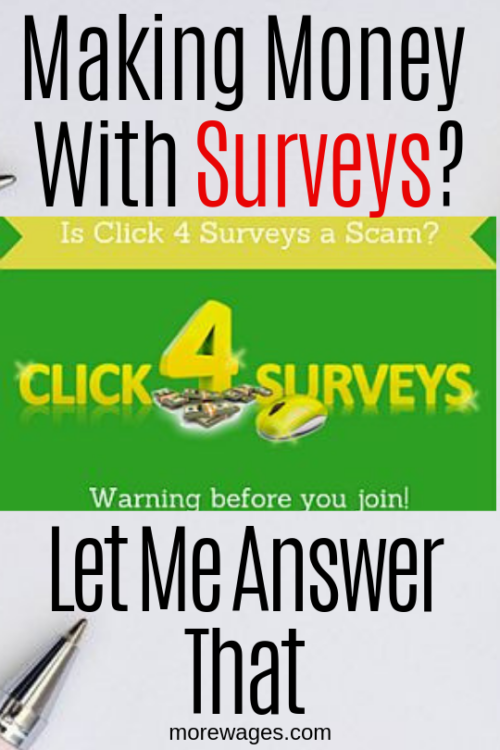 If you check Click 4 surveys sales page, they have unrealistic promise to you, promising you can make from $5-$75 per survey, anyone who`s ever done online surveys knows this is impossible there is just no way anybody can make a lot of money with online surveys. Moneysavingexpert.com has a list of top online survey sites if you`re still interested in making money taking surveys, just remember to check out the surveys first to see what others say before you join. First thing you need to do is to scroll through the database of the listed companies. These are supposedly the companies which are offering you the opportunity to make money by participating and completing their surveys. Secondly, you have to choose the surveys that you wish to take from the list given. The surveys are forwarded to the email that you have provided before registering. You get paid via Paypal or paper cheque which is mailed to your address. Do I Recommend Joining Click 4 Surveys? 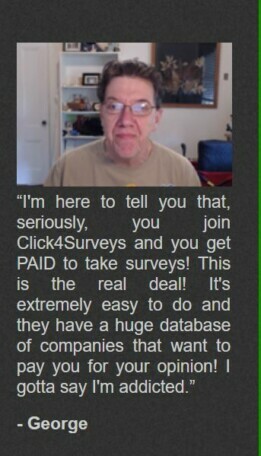 Having learned more about the Click 4 Surveys website, I have found myself not recommending this website to anyone. The claims made by the website are too far fetched and the promises of huge earning potential are a big fat lie. No legitimate website can help you make the amount mentioned doing surveys the way this site has claimed. You will be lucky if you can make $ 50 a month from this site. If you still want to make money online and looking for ways that are fun and easy, Swagbucks has easy to complete surveys that will pay you in Swagbucks. You can either convert the bucky into cash or use them to shop in your favorite online like Amazon. Moreover, no proofs are showing that any big companies like Coca Cola have partnered up with Click 4 Surveys. This is because no company has partnered up with it. It is another lie to lure people in. 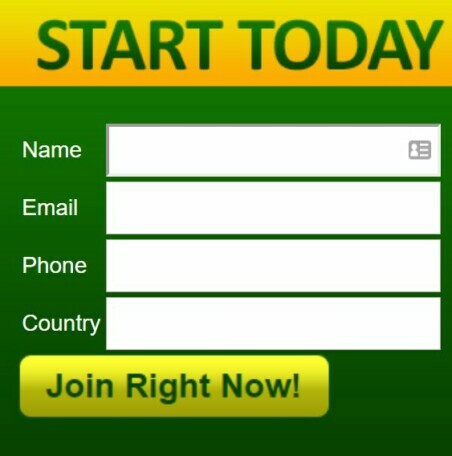 The most telling about this scam site is that they ask for money to become a member. This proves that any money made by Click 4 Surveys doesn’t come from surveys but each member registering to the site. As far as I am concerned, Click 4 Surveys website is most likely designed to lure people to gather their information for later use in some other way. Could be for telemarketing. Who knows? Every promise and every claim made by this site has turned out to be false. Even the surveys that they do offer come from third-party providers. In my honest opinion, Click 4 Surveys is a big scam that you should definitely stay away from. A complete waste of time and money! Now that you`ve been reading all this what`s your opinion? Is click 4 surveys a scam? Or are you still on the fence? I know that Filling surveys will not even make you enough money to pay your bills, and if you know your time is better spent than earning cents taking surveys online, I`d like to invite you to learn affiliate marketing. With proper affiliate marketing training, you`ll be able to make REAL money online, enough to quit your daytime job and earn a full-time income from home. It`s free to get started, all you have to do is Click Here and learn step by step how to make money online. Very informative post and definitely helpful. Thanks for sharing this post. This is another thing we have to be careful of, you sign up for a survey site, then spam emails start coming in inviting to all these useless survey sites. Wow! It sounds like Click4Surveys is absolutely awful! I definitely will warn my friends not to use the site. Thanks Stephanie, there are better ways to make money online and people should avoid sites like click 4 surveys. Thank you for looking into this! There are so many surveys out there and they all say you can make all this money. But it is so hard to get through the screening process. And you should never have to pay to take a survey! 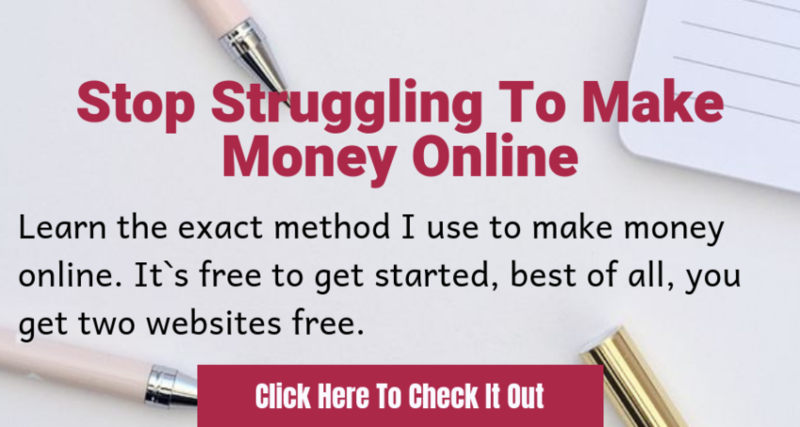 Agree but many people getting started online do not know this and surveys telling you it`s possible to make thousands per month taking surveys, many people fall for this and even pay to take online surveys. Surveys also depend on geographical locations people living in USA and Canada have more opportunities to take part in online surveys, but people living in other parts of the world find it hard to get any surveys. Thanks for the warning! I will not try to go with them! And glad you will not join as it will be a waste of time and only frustrating. Paid services are not like getting rich quick schemes and sites like this take advantage of people wanting to use their spare time to earn money. I agree, there are many people willing to spend time sharing their opinions, but many scam sites out there take advantage of people who do not know how to look out for scam sites. I agree taking surveys can be time-consuming and frustrating when after spending time answering you reach the middle then you get disqualified for not qualifying or not being the right match. There are better ways to earn online. It’s always so hard to know what’s real and what isn’t. Faking testimonials is a sure fire thing though to let you know it’s not good or legit. 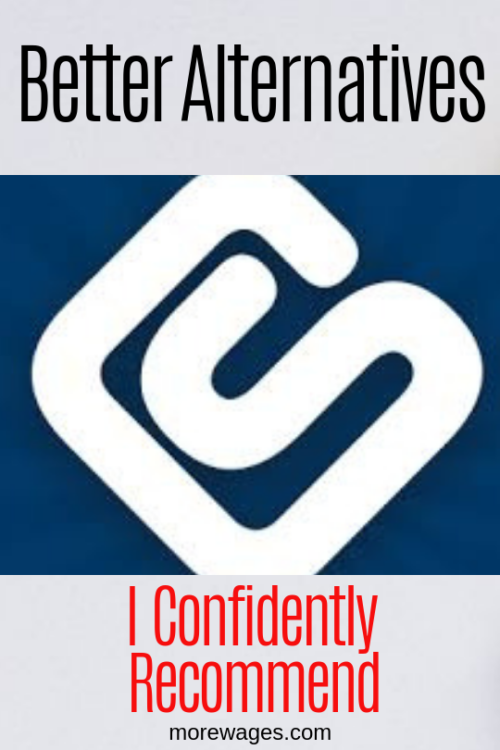 Newbies online can really fall for the fake make money survey testimonials, I know I did fall for them in the past.